I'm spoilt for choice with tulips! I'm so lucky to have lots of customers who appreciate the fringed, striped, parrot and French long stemmed varieties and appreciated that they cost more than the run of the mill varieties but are worth every penny. 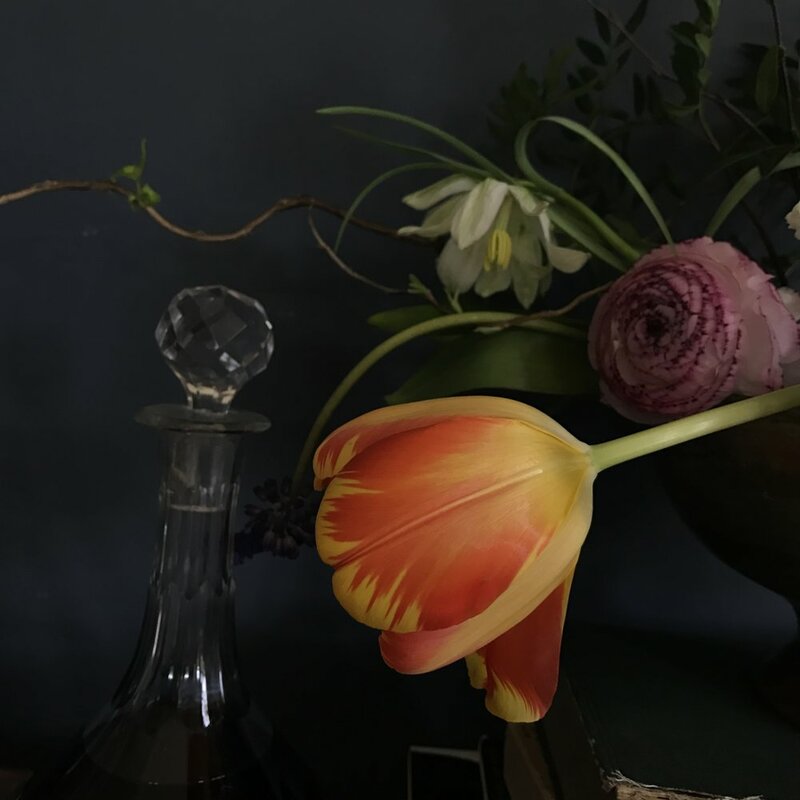 These tulips were historically the highly prized varieties that sold for a lot more than their weight in gold during the tulipamania era and I understand that the stripes on these very special tulips were caused by a virus, hence their historical rarity. Tulips, in my opinion, are at their very best when they are fully open and curving every which way. 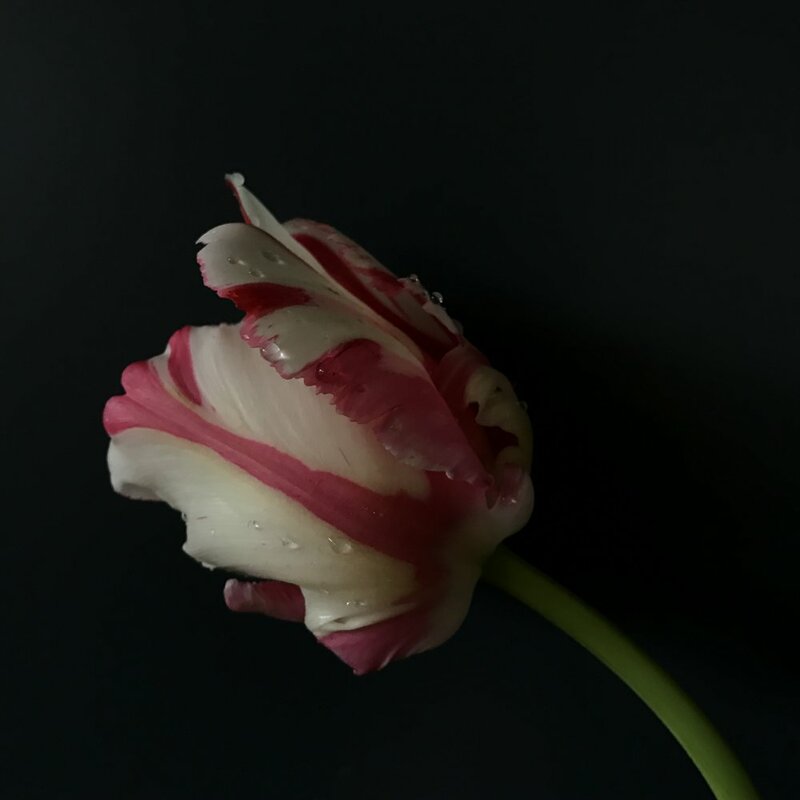 The inside of the tulip flower is often stunning and well worth studying! 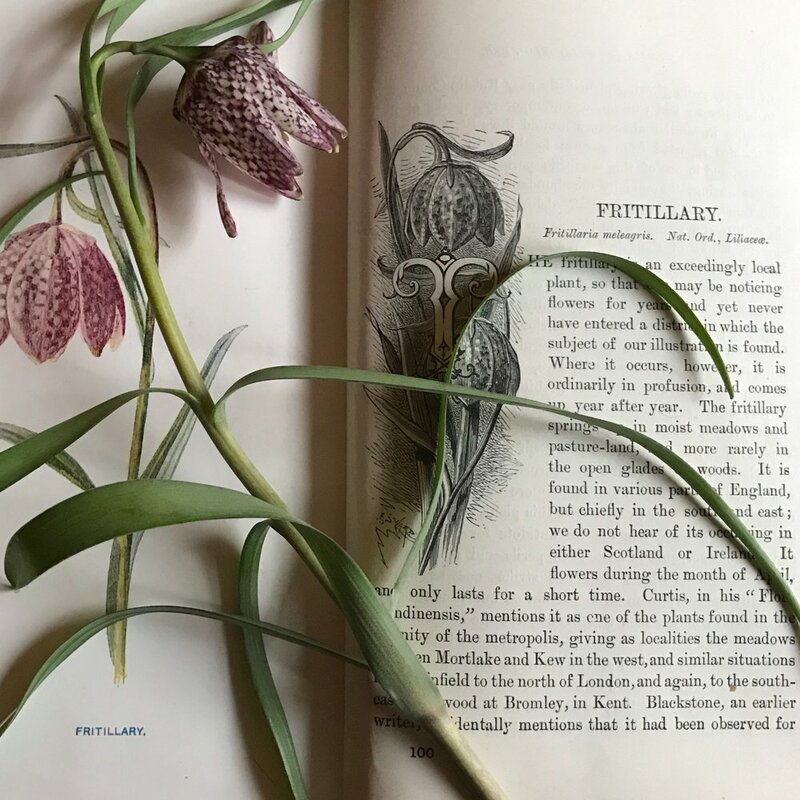 It's an exciting week when the fabulous fritillaries make an appearance. 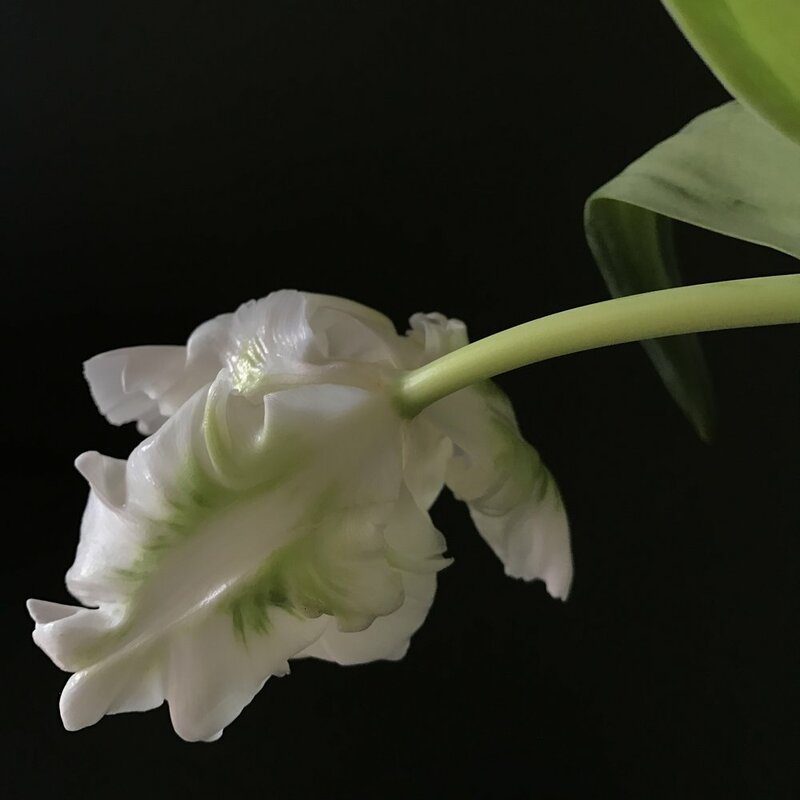 They are one of my all time favourite flowers; sculptural, curving, nodding heads. Wild, seasonal and sublime. I'll be tying them with dark red ranunculus and deep burgundy tulips for Valentines bunches. They tick all the boxes! My neighbour was tidying up her garden for Autumn and popped in with a bunch of these magnificent allium seedheads. It's definitely worth planting some of the large headed allium just for the seedheads in September. 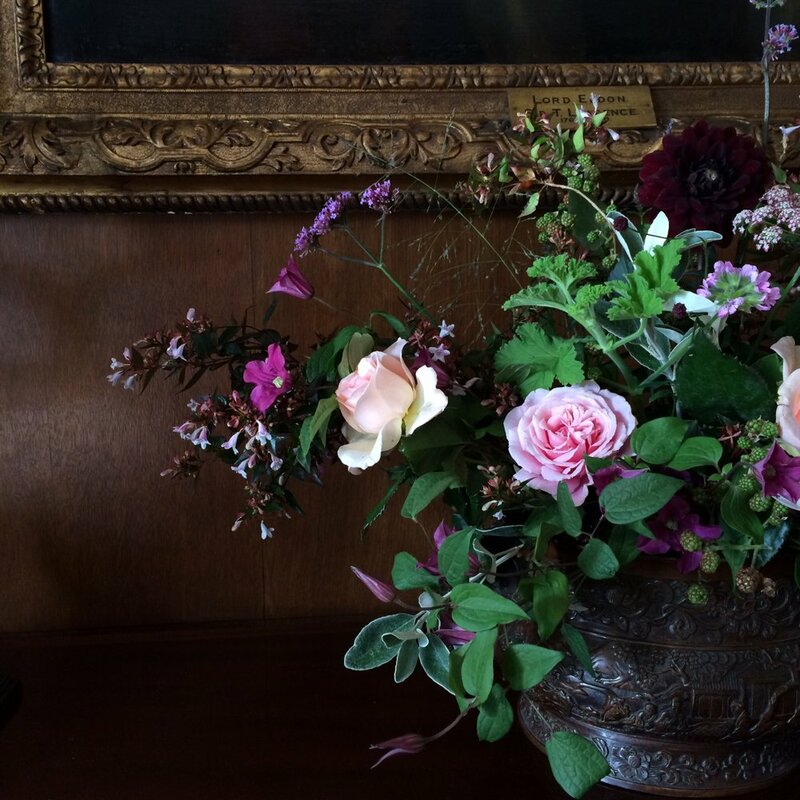 They look superb in a vase and so beautiful when the Autumn light hits them. It's been a really beautiful summer and I've been lucky enough to spend so much of it outside, arranging flowers, tending plants and watering (a lot for the potted plants that I sell at Cowdray Farm Shop) in the cool of the evening just before sunset; a magical time of day. The summer season has been non stop this year and the event work, like the flowers, has been abundant. For this event at Cowdray House I wanted to showcase the abundance of summer flowers and seasonal fruits and also to showcase a small selection of the huge variety of plants that I've been selling at Cowdray Farm Shop this summer; verbenas, abelias, pelargoniums, senecio, clematis, honeysuckle, crocosmia, dahlias. A sprinkling of garden roses and a few unripe blackberries from my own woodland garden complete the look; the abundance of summer 2016. They're incredibly beautiful, long lasting, full of surprises and everyone adores them. I absolutely love them and have been working my way through all of the wonderful varieties recently. 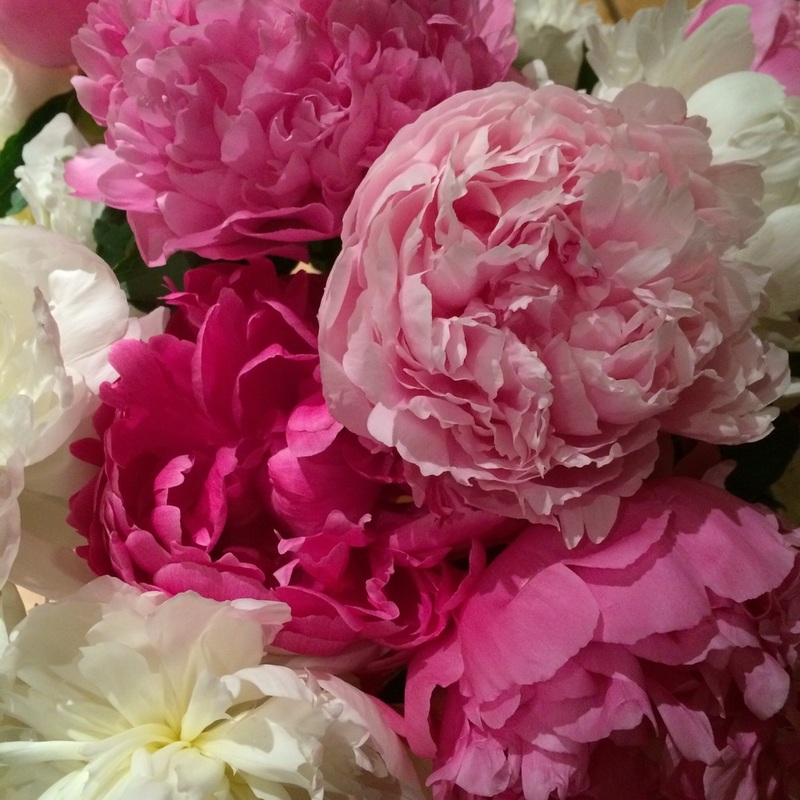 I've got an excellent range of peonies in Cowdray Farm Shop at the moment so , if you live in Midhurst, it's definitely worth a peek.